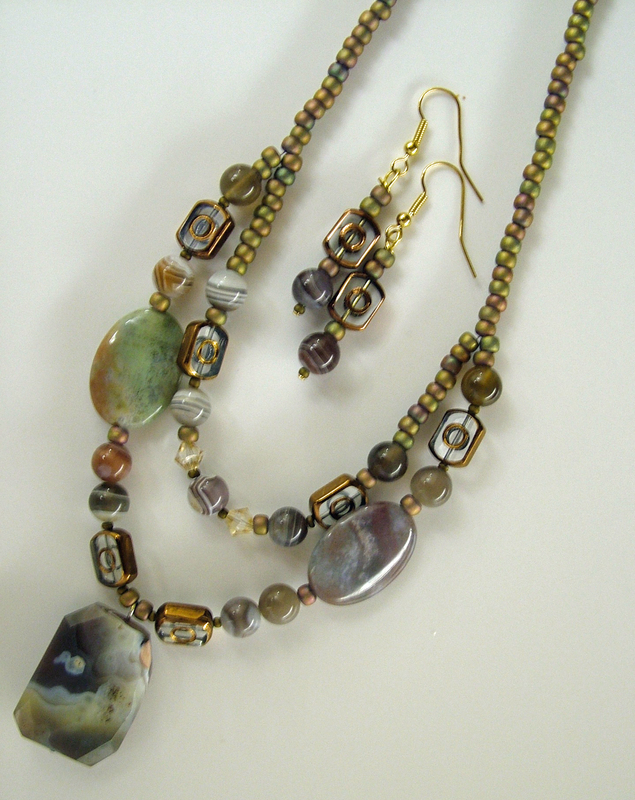 This 2 strand necklace is from my rock collection. The gorgeous colours in these rocks, show veins of smoky, greys, browns. greens and burgundy. Set along side square bronze glass with clear centres, the colours are highlighted to perfection in this unusual one of kind piece. Size: medium.